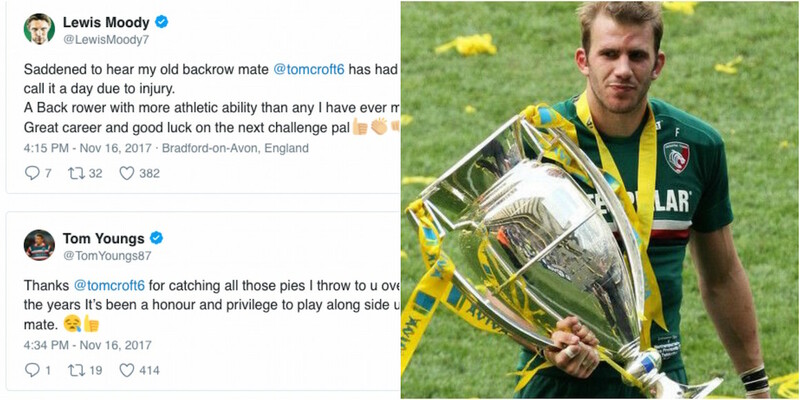 There was an outpouring of love for Tom Croft on social media after the England and British & Irish Lions forward announced his retirement from football. The 32-year-old spent his entire career at Leicester, picking up a number of major honours during his 13 seasons at Welford Road. And the club and ex-teammates have paid their tributes to the midfielder on Twitter. Saddened to hear my old backrow mate @tomcroft6 has had to call it a day due to injury. What a sad day. It has just been announced by @LeicesterTigers hat @tomcroft6 has retired from the game. Huge talent but better man. All the best Yog. Tributes are flowing for a #tigersfamily  favourite after today’s announcement that club legend @tomcroft6 has retired with immediate effect. Congrats @tomcroft6 aka Yoghurt on a hell of a career! I remember the day you said you’d dominate Johno at training and you didn’t. You did however dominate many games and had an awesome club and international career! Still not forgotten you got me my 1 and only red card though! Tom Croft announced his retirement from rugby earlier today.